We are a family company that has been established since 1972. 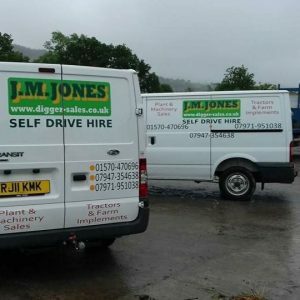 We specialise in selling, buying and hiring tractors, diggers, plant and various other construction machinery. Although we are situated at Talsarn, in the centre of Ceredigion, Wales, UK, we export and import all over the world. Callers are welcome at the yard, although it is always best to phone first. If you require something specific that is not in stock, it can usually be sourced. Part exchange welcome.